Born at Fort-de-France, Martinique on 28 November 1963, Thierry Paulin was abandoned by his father and raised by his paternal grandmother, a restaurateur who had little time for him. He was 10 years old before he moved back in with his mother who had remarried but he didn’t get on in the new environment and soon went to live with his father in France. At school Paulin had few friends and did not do well. He became a paratrooper when he was 17 but did not fit in with his colleagues because of his colour and blatant homosexuality. He decided to exact revenge on society and, possibly, his grandmother. In Paris there were a quarter of a million women aged 65 or over who lived alone, and it was this group that Paulin decided to attack. On 14 November 1982 he attacked an old lady with a knife in her grocery shop but she knew him and he was arrested. He was jailed for two years in June 1983 but the sentence was suspended. Leaving the army in 1984, he became a waiter at the Paradis Latin, a transvestite club. He met and began a relationship with French-Guyanese drug addict Jean-Thierry Mathurin, 19, and Paulin, too, began to take and sell drugs. The attacks continued in earnest on 5 October 1984 when two old ladies — Germaine Petitot, 91, and Anna Barbier-Ponthus, 83 —were beaten in Paris. Barbier-Ponthus died of her injuries and the murderer also stole 300 francs from her. Over the next seven weeks, eight women were murdered, many in horrific circumstances. The attacker became known as the Monster of Montmartre and it was said that he would engage old ladies in conversation. If he disliked them, he would kill them. More old ladies were murdered and the police collected fingerprints from 150,000 suspects. Paulin was not captured sooner because his prints had somehow vanished from the database. Paulin was jailed in 1986 for a year after beating up one of his drug dealers. Released, he killed 79-year-old Rachel Cohen on 25 November 1987 and the same day attacked 87-year-old Rose Finalteri. He left her for dead but, unfortunately for him, she survived and gave the police a description of Paulin. “Il etait un metis d’une vingtaine d’annee coiffee a la Carl Lewis, avec une boucle d’oreille gauche,” she said. 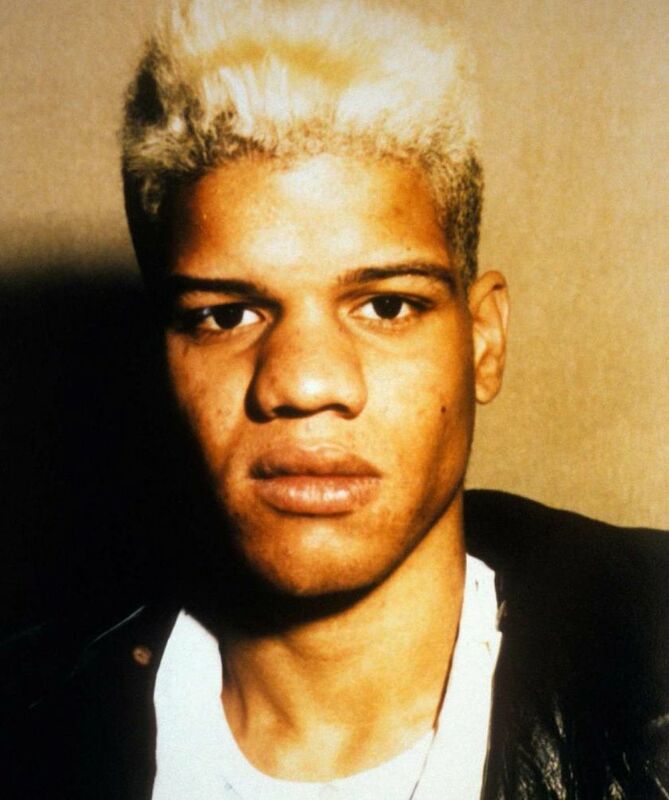 (“He was mixed race in his 20s with hair like Carl Lewis and an earring in his left ear.”) On 1 December Paulin was arrested. On 3 December Paulin confessed and implicated Mathurin. In prison he fell ill and was diagnosed with Aids. He died during the night of 16 April 1989, in the hospital wing of Fresnes Prison. Mathurin was tried for the first nine attacks and murders and was sentenced to life plus 18 years without parole. Thierry Paulin was never convicted of the murders of which he was accused.